Corpus analyses of lexical structures have uncovered different functions that they come to serve in textual organisation. Frequently occurring patterns of lexical items, the multi-word units, display different distributional properties across different genres and contribute to particular discourse structure. This study first presents a typology of tri-grams in Turkish extracted from the Turkish National Corpus. Second, it discusses the distributional properties of most frequently occurring trigrams in fiction and non-fiction texts. The formal and functional typologies presented here help specify genre properties of Turkish texts. National Corpus (TNC). Proceedings of the 8th International Conference on Language Resources and Evaluation (LREC 2012), (pp. 3223-3227), Istanbul, Turkey. Aksan, M. & Aksan, Y. (2013, September). Multi-word units and pragmatic functions in genre specification. Paper presented at 13th IPrA Conference 08-13 September 20 New Delhi, India. International Conference on Intelligent Text Processing and Computational Linguistics, (pp. 370-381). Bell, D.M. (2010). Nevertheless, still and yet: Concessive cancellative discourse markers, Journal of Pragmatics 42, 1912-1927. Biber, D. Johansson, S., Leech, G., Conrad, S. & Finegan, E. (1999). The Longman grammar of spoken and written English. Harlow: Pearson Education. Biber, D., Conrad, S. & Cortes, V. (2004) If you look at ... : Lexical bundles in university teaching and textbooks, Applied Linguistics 25(3), 371–405. Biber, D. & Barbieri, F. (2007). Lexical bundles in university spoken and written registers. English for Specific Purposes 26, 263-286. Examples from history and biology. English for Specific Purposes 23(4), 397–423. Durrant, P. (2013). Formulaicity in an agglutinating language: The case of Turkish. Corpus Linguistics and Linguistic Theory, 9(1), 1-38. Göksel, A., Kerslake, C. (2005). Turkish: A comprehensive grammar. London: Routledge. Hyland, K. (2008). As can be seen: Lexical bundles and disciplinary variation. Minitab, Inc. www.minitab.com. Kerslake, C. (1992). 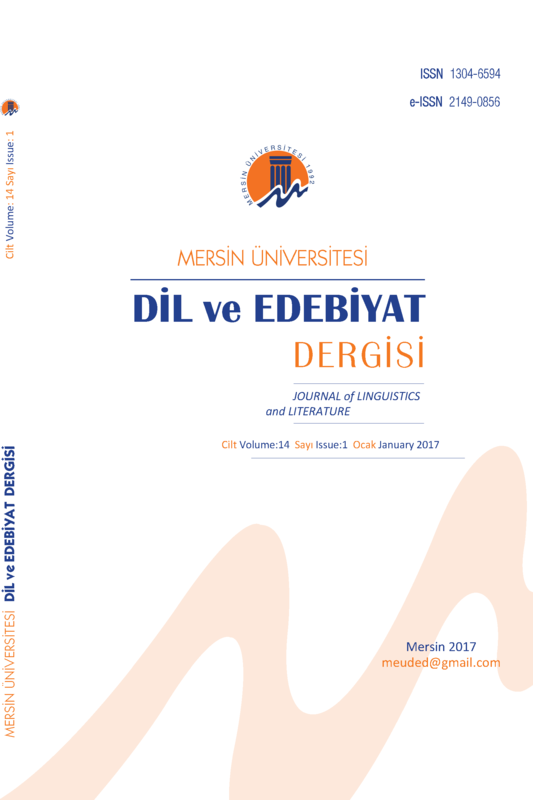 The role of connectives in discourse construction in Turkish. Modern Studies in Turkish: Proceedings of the 6th International Conference in Turkish Linguistics, 12-14 August 1992, (pp. 77-103). Eskişehir: Anadolu Üniversitesi. Kornfilt, J. (1997) Turkish. London: Routledge. Lee, D. (2001). Genres, registers, text types, domains, and styles: Clarifying the concepts and navigating a path through the BNC jungle. Language Learning and Technology, 5(3), 37-72. Leech, G. & Short, M. (1981). Style in fiction. London: Longman. Lewis, G. (1969). Turkish. Oxford: Oxford University Press. Liu, D. (2012). The most frequently used multi-word constructions in academic written English: A multi-corpus study. English for Specific Purposes 31, 25-35. O’Keeffe, A., McCarthy, M.J. & Carter, R.A. (2007). From corpus to classroom. Expressions: Integrating Processing, July 2004, (pp. 64-71). Ruhi, Ş. (1992) Ve’yi nerede inceleyelim: Sözdizimde mi? Anlambilimde mi, yoksa ...? [Where to study ‘and’: In syntax? Semantics, or…?] In C. Aksoy, G.
Proceedings of the Seventh International Conference on Turkish Linguistics, Turcologica 32, 135-153. Wiesbaden: Harrassowitz. Sinclair, J. (1991). Corpus, concordance, collocation. Oxford: Oxford University Press. Sinclair, J. (2004). Trust the text. Oxford: Oxford University Press. Simpson-Vlach, R. & Ellis, N.C (2010). An academic formula list: New methods in phraseology research. Applied Linguistics 31(4), 487-512. Zeyrek, D., Turan, Ü.D. & Demirşahin, I. (2008). Structural and presuppositional connectives in Turkish. In Benz, A., Kühnlein, P. (Eds. ), Constraints in discourse, 131-137 Amsterdam: John Benjamins. ISNAD Aksan, Mustafa , Aksan, Yeşim . "Multi-word Expressions in Genre Specification". Dil ve Edebiyat Dergisi 12 / 1 (June 2015): 0-.